The Cornish Peninsula lies at the south-west extremity of England and is part of the ancient Celtic kingdom of Dumnonia. It retains a uniquely Celtic feel and even has its own Celtic language known as Cornish. 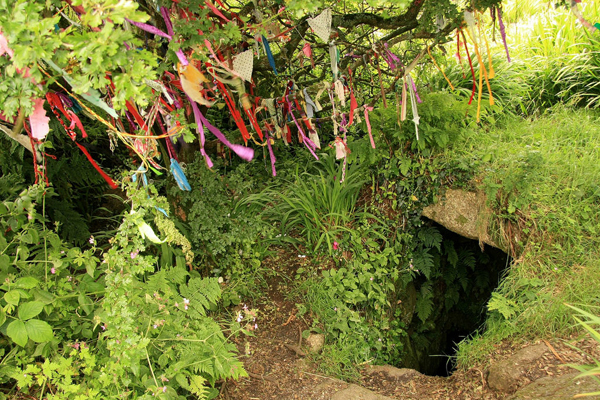 Cornwall abounds with folklore of the hidden folk, including the iconic Cornish pixies, the "knockers" who live in the mines and deep underground places, and the mermaids who dwell in the seas around the peninsular. It is also the birthplace of King Arthur and many legendary events from his life are said to have taken place there. Tintagel Castle lies on a windy promontory overlooking Tintagel Haven and is the famous birthplace of King Arthur. 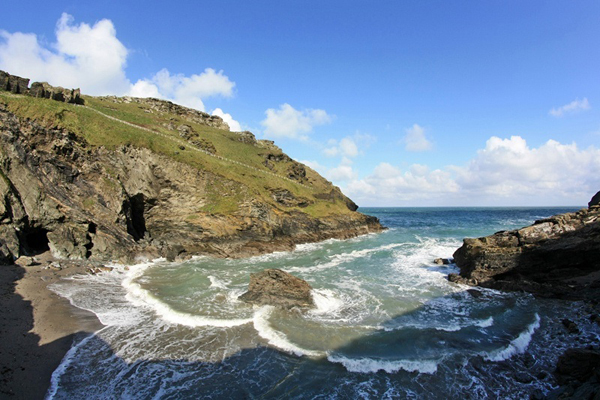 Beneath it lies the magical Merlin's Cave where the baby Arthur was said to have been hidden and protected by Merlin. The seaside town of Tintagel has an array of magical shops selling pagan and Celtic supplies, as well as a romantic 19th century reconstruction and exhibit at King Arthur's Great Halls. 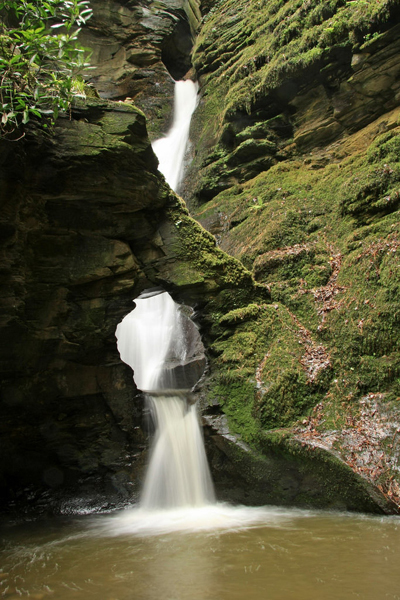 Just outside Tintagel you can find the magical St Nectan's Glen where you can follow an enchanted woodland pathway to a sacred waterfall which cascades through a deep gully known as St Nectan's Kieve where all kinds of ritual offerings and gifts for the fairies can be found deposited around. Further along the road you come to the strange little witch-haunted fishing village of Boscastle. There you can visit the Museum of Witchcraft, or head inland to the White Church where pagan rites are still said to be performed. Travelling further afield you come to the haunted and misty landscape of Bodmin Moor with its witch stones and lonely stone circles. The Arthurian Centre at Camelford lies on the other side of the moor, and there you can see King Arthur's Stone and the legendary site of the battle of Camlann. Finally we can head over to isolated and haunted Dozmary Pool on the edge of the moor, where the sword Excalibur was said to have been cast back into the waiting hand of the Lady of the Lake. 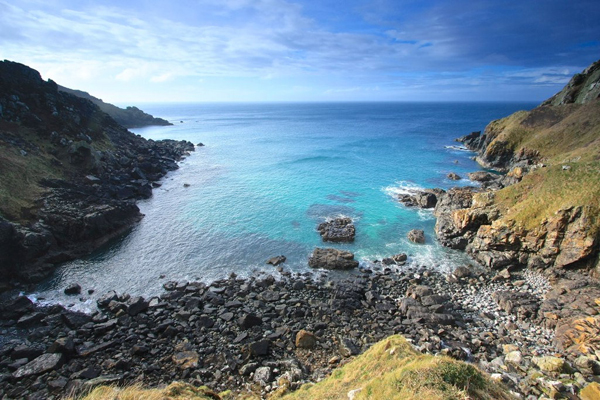 West Penwith lies near Lands End at the very tip of Cornwall and probably has the greatest concentration of sacred sites in one small area than anywhere else in the country. There are holy wells and sacred springs, stone circles and huge dolmens. To the North you will find Zennor with its mermaid legends, to the West the faery-haunted landscapes of Ballowall Barrow and Sennen Cove, to the South the magical prophetic stone at St Leven's, and to the East the iconic tidal island of St Michael's Mount with its legends of giants. Walk in the footsteps of the druids at Boscowen-un stone circle, or be cured by the pixie at the holed stone of Men-an-Tol. 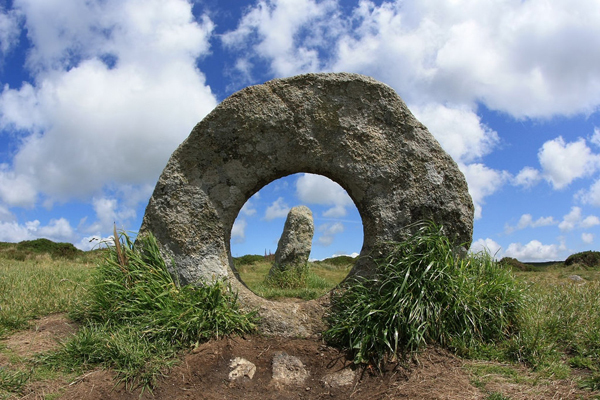 West Penwith is a place so filled with magic you'll believe you have travelled through a portal to the Otherworld! Please contact Rob at wildwood@jelldragon.com for bookings and more information, or telephone +44 7504 801537.